Among non-Haredi American Jews age 25-54, just 21 percent are married to Jews, while well over twice as many (50 percent) are non-married and 29 percent are intermarried. 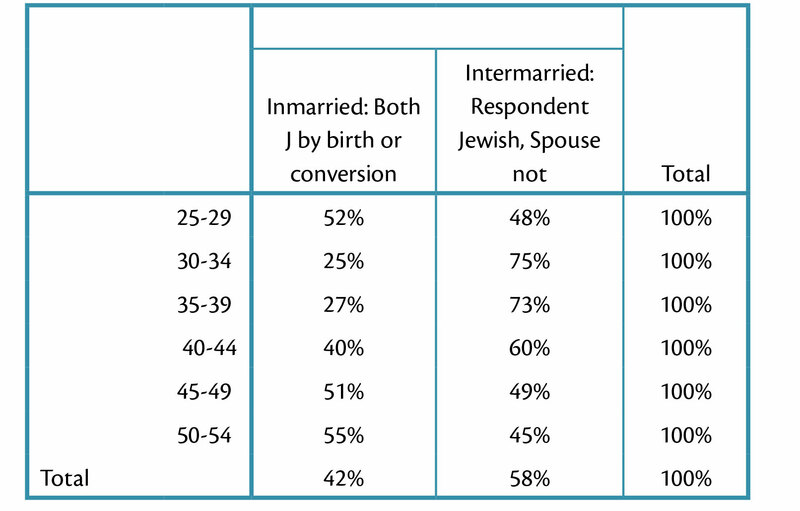 Percentages of Jews married to or partnered with Jews or non-Jews, compared to those not married or partnered, are shown below in Table 2. 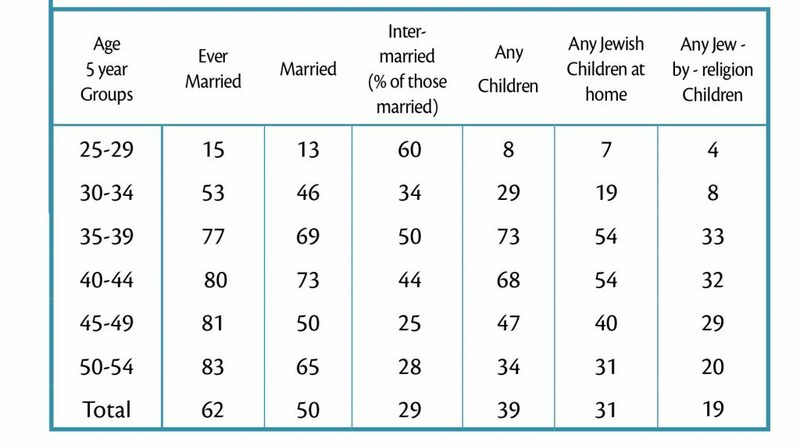 Below, in Table 4, we portray a variety family characteristich by five-year age intervals, lending further granularity to our preceding discussion of marriage patterns and our forthcoming discussion of childbearing.